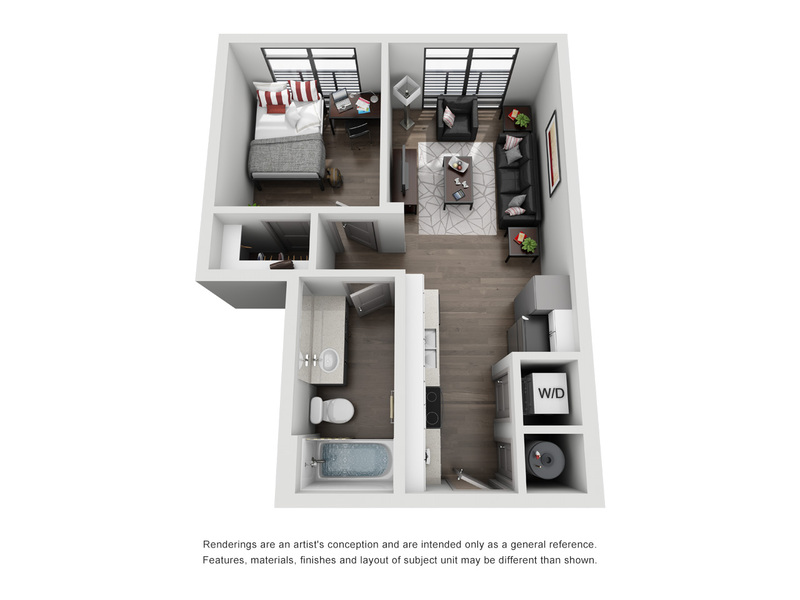 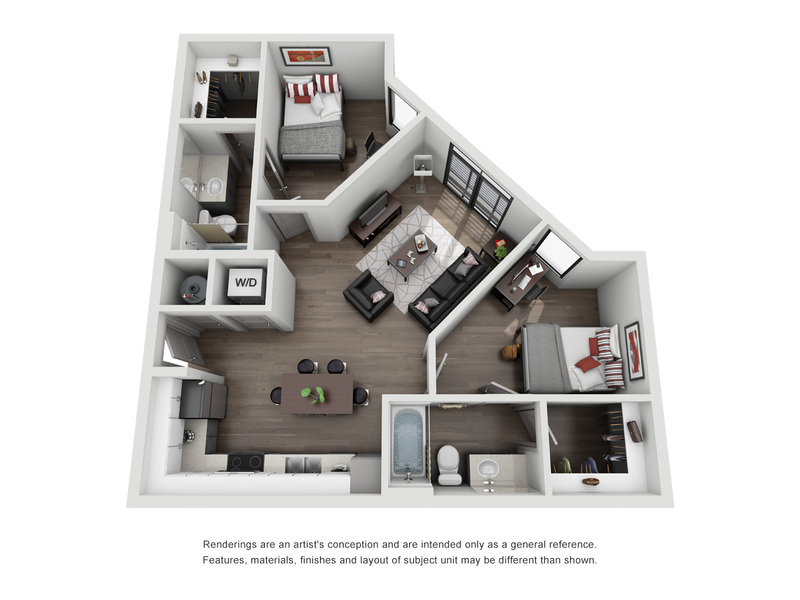 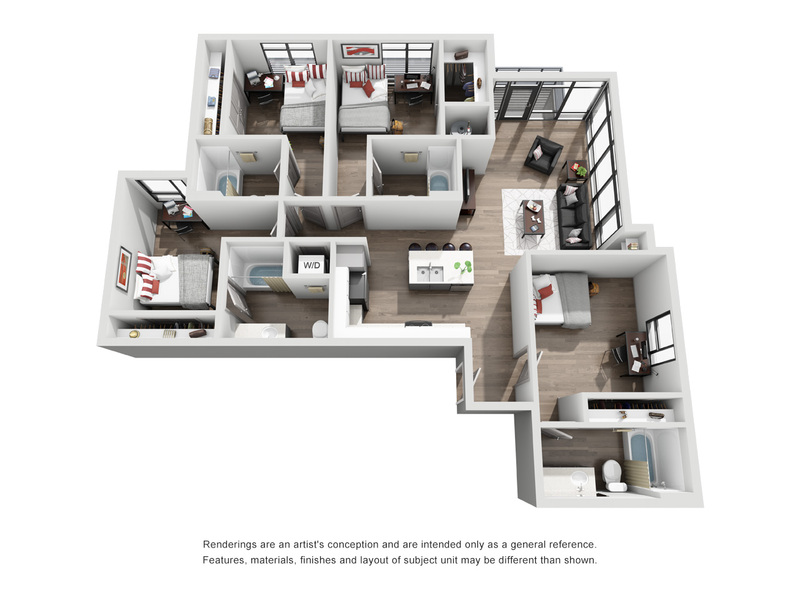 At Liv+, we offer a variety of floor plans so you can find the one that fits your lifestyle. 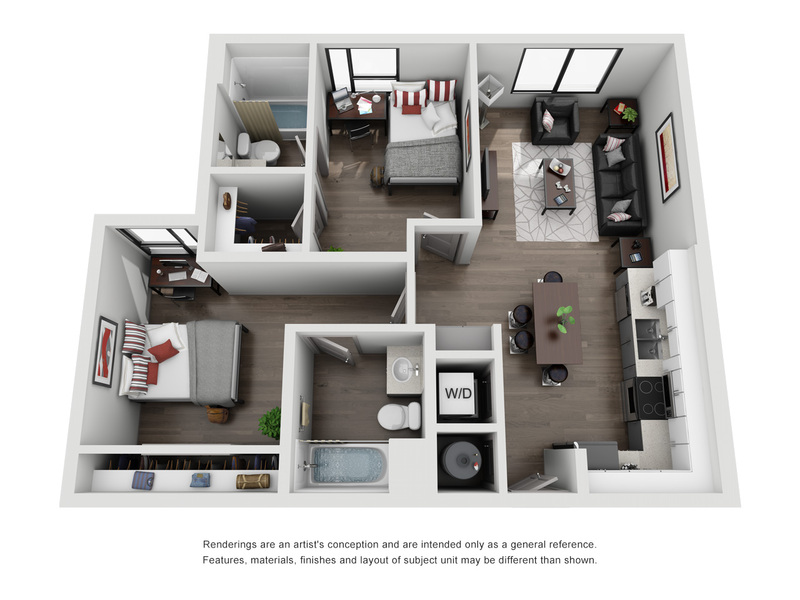 Each unit features bedrooms with individually paired bathrooms, fully equipped kitchens, and a full cable/Wi-Fi package. 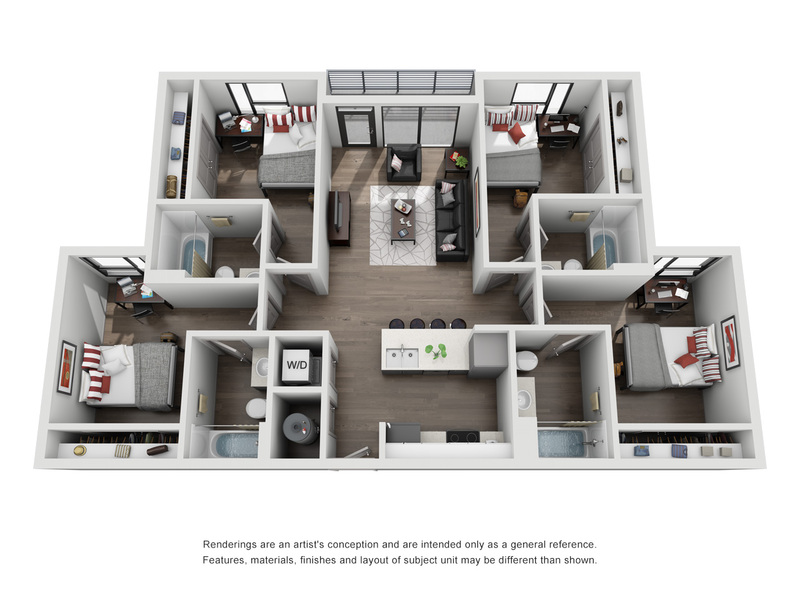 Check out our layout options in the renderings below. 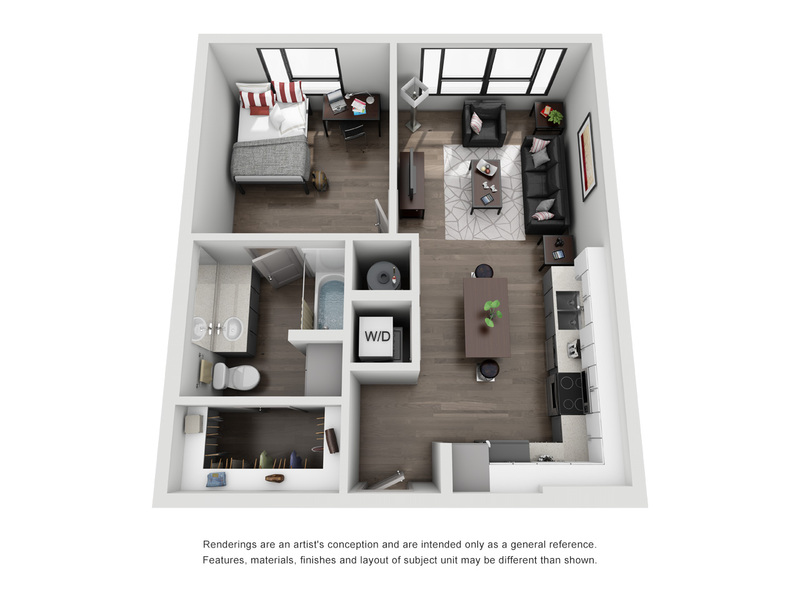 We offer individual leases and roommate-matching options for students. 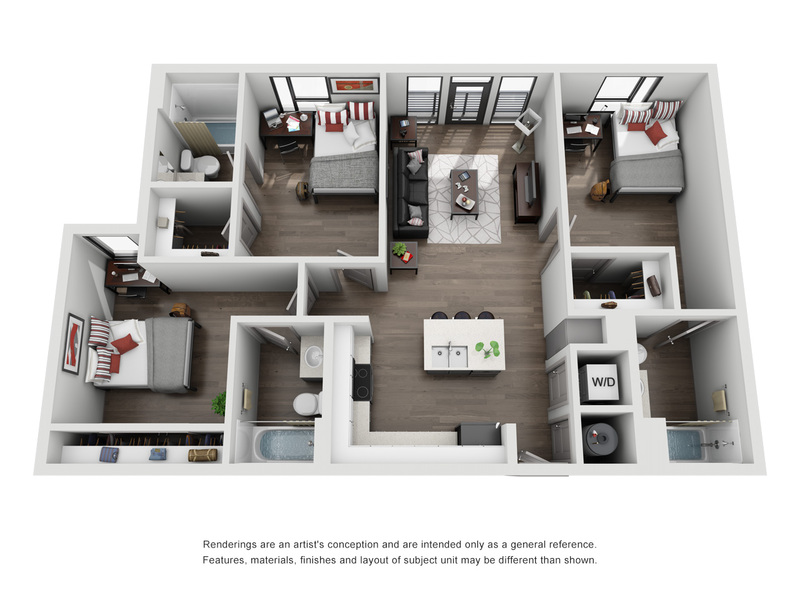 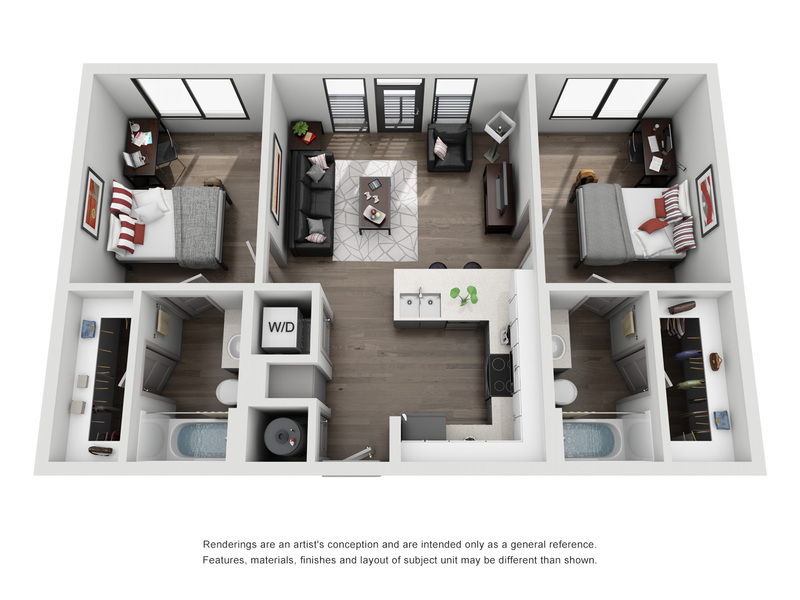 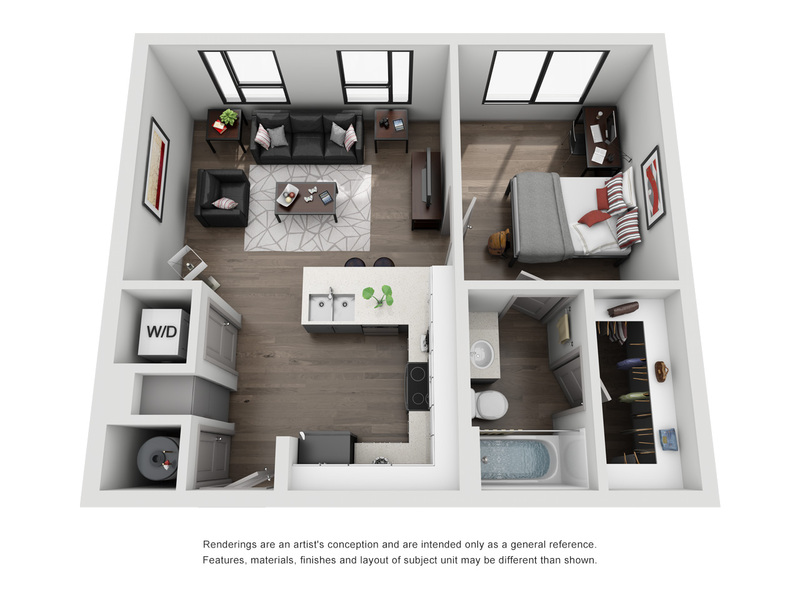 Click on each image for a zoomed-in view of the apartment. 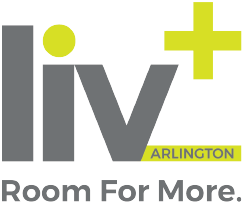 *Rates are net effective rate and are subject to change at any time.